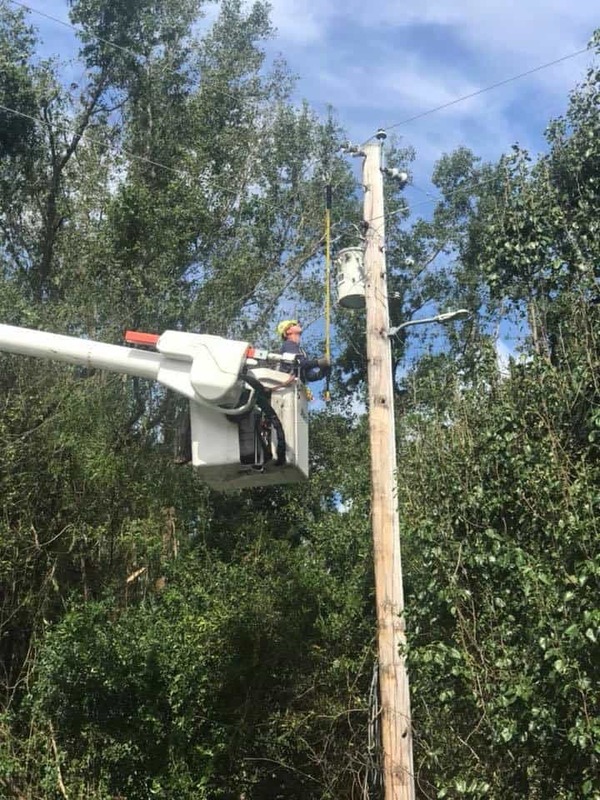 With improved weather conditions on Monday, electric crews and service personnel working in North and South Carolina were able to make significant progress in restoring electricity following Hurricane Florence. 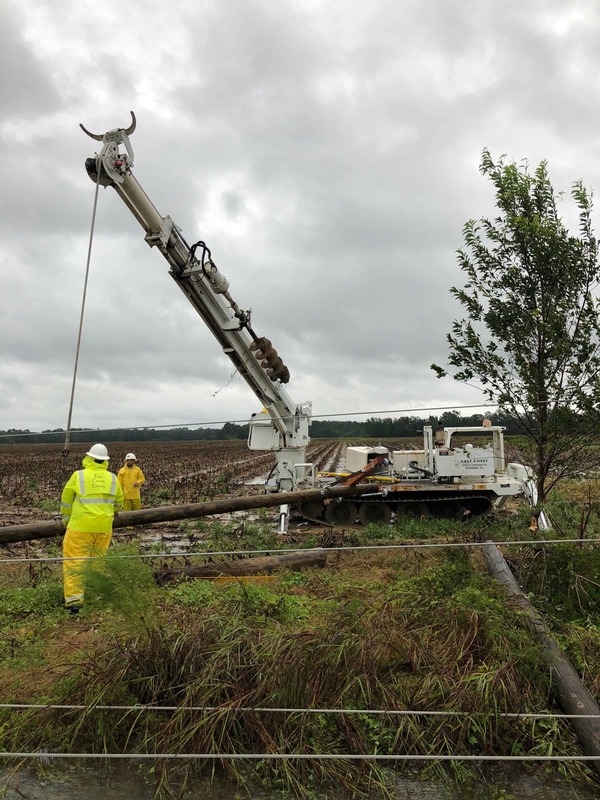 Crews across the Carolina territories continue to face flooded roads and debris, including broken limbs and uprooted trees that are blocking the roadways, making it difficult for electric crews to access many of the outage areas to make repairs. 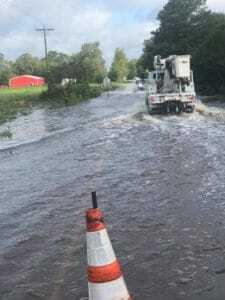 A nine-man DREMC crew was sent to the Lumbee River EMC area on Sept. 15. Officials at Lumbee River EMC reported yesterday that service was restored to some 9,000 members in their area. Following the damaging effects of Hurricane Florence, approximately 35,000 of its 53,000 members were without power last week. According to the cooperative’s outage management system, approximately 10,700 of their members remain without power on Tuesday. 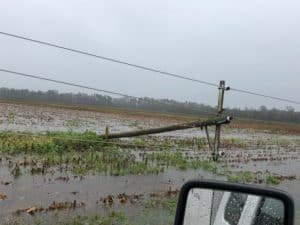 Hurricane Florence created extensive damage through all parts of their electric system, and today line personnel are fanning out over all 5,600 miles of power lines across the four counties they serve to continue restoring power to Lumbee River EMC members. More than 40,000 lineworkers from electric companies, electric co-ops and public power utilities, plus additional tree crews and electric contractors, converged in the hurricane’s hard-hit areas to restore power. This includes mutual assistance workers from at least 17 states. As we receive photos of the storm damage and power restoration work in North Carolina, we will post and share them to keep our members updated.